Join our Founders as we explore the less travelled paths of the world. By choosing to come with us you are directly helping to conserve our natural world & supporting the communities that live close to wildlife. Why Kenya? The Big Five. Big Cats. Masai Mara. The Great Migration. Tribes & culture. 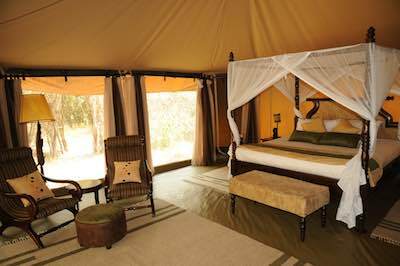 Here is a selection of our best-selling Kenya Safaris & Extensions. Of course, there are lots of options & permutations... so contact us to tailor-make a safari just for you. 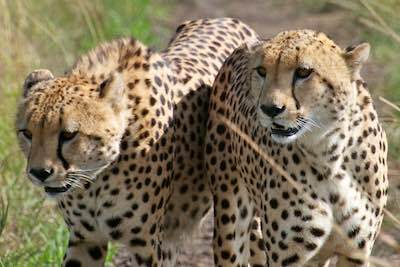 Masai Mara - Big Cats (BBC filmed Big Cat Diaries here) & The Great Migration (of National Geographic fame). Amboseli - Elephants, hippos, & spectacular views of Mt. Kilimanjaro. Lake Nakuru - Endangered rhinos, flamingos & "Out of Africa" Great Rift Valley. 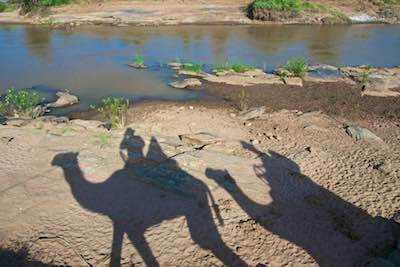 The Remote North - From camel treks to nomadic tribes & unique, endemic wildlife in Samburu, Meru & Laikipia. 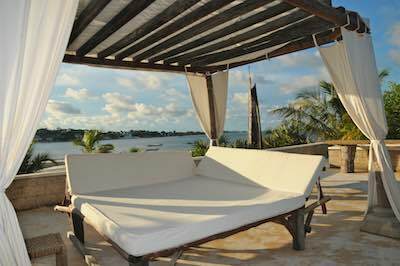 Lamu - Relaxed Swahili Coastal culture, from Sultans to donkeys! South Coast -Tropical coast, beautiful beaches, snorkelling & scuba diving. 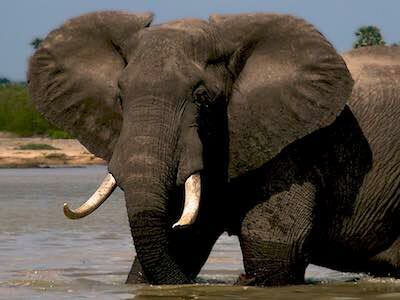 Highlights: The Migration & Africa's Big 5: Lion, Rhino, Elephant, Buffalo, Leopard. Is this for me? For the first time safari-goer who wants Kenya's famous highlights. Lake Naivasha, Lake Elementaita & Lake Nakuru: Great Rift Valley lakes, boat safari. Endangered rhinos, flamingos & 'Out of Africa' viewpoint. 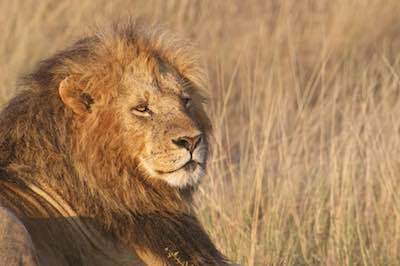 Masai Mara: Abundant, easily seen wildlife on the Plains. 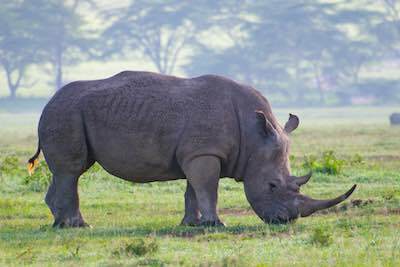 Black rhinos. Big Cats: lion, leopard, cheetah. 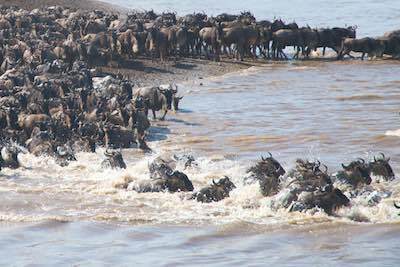 Famous Wildebeest Migration & River crossings (July - October). 1 Transfer airport to hotel. Relax & prepare for the coming days of adventure. This morning visit the Giraffe Centre, and the Sheldrick's Elephant Orphanage, which rescues orphaned elephants and rears them to re-release back into the wild. 3 Today you have a full day visit to Lake Nakuru National Park. 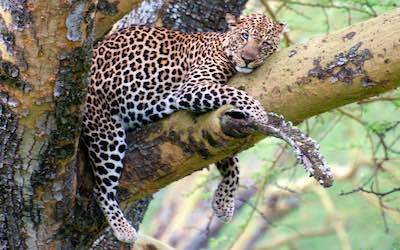 Here you have the best chance of seeing critically endangered rhino & even an elusive leopard if you are lucky. 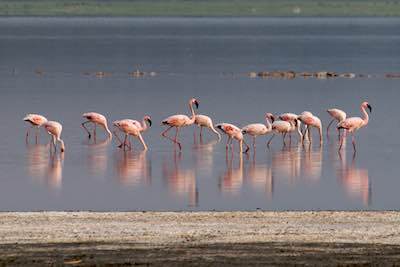 Thousands of pink Flamingos usually feed along Lake Nakuru's shore. Drive back to Nairobi (option available to fly). Transfer to the airport to catch your flight back home. 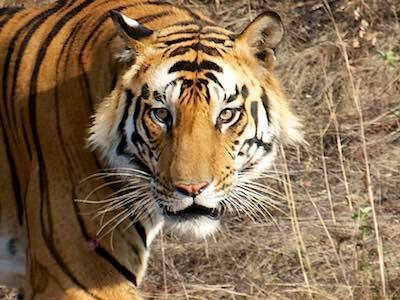 Highlights: Big Cats, Elephants, Rhinos. The Great Migration. Diverse scenery. Is this for me? For the safari connoisseur who wants a range of experiences. 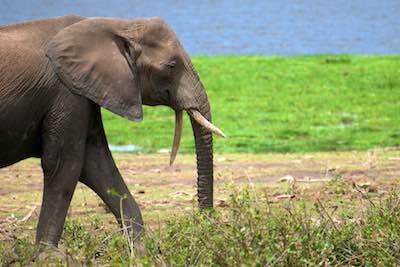 Amboseli: Large elephant herds & spectacular views of Kilimanjaro (weather-permitting!). Laikipia/ Samburu: Rhinos, unique northern species: Grevy's Zebra, Somali Ostrich, Gerenuk, Reticulated Giraffe, Beisa Oryx. Stunning landscapes. 1 Transfer airport to hotel. Relax & prepare for your coming days of adventure. FLY to Amboseli National Park. 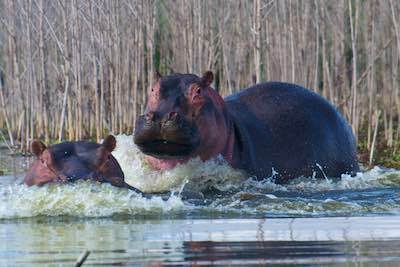 Game Drive to see elephant herds, buffalos & hippos feeding in the swamps. 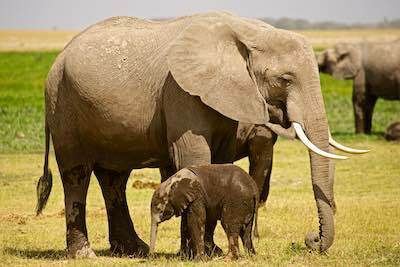 Amboseli's elephants have been made famous the world over by Conservationist Cynthia Moss. 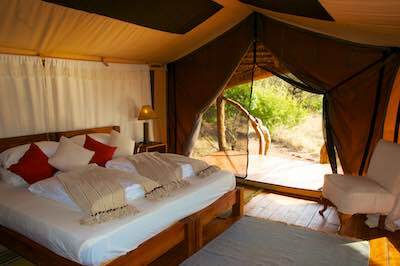 For Laikipia: FLY to Nanyuki & drive to your Private Conservancy, where you can enjoy a range of activities during your stay. 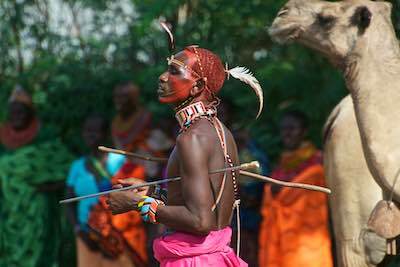 For Samburu: FLY to Samburu airstrip. 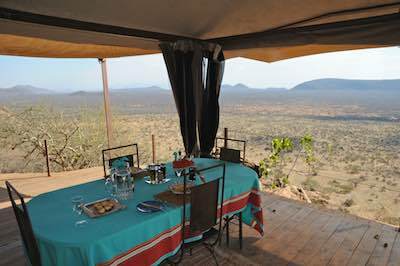 Enjoy game drives in this beautiful, remote, arid northern park. This region was made famous by George & Joy Adamson of 'Born Free' fame. 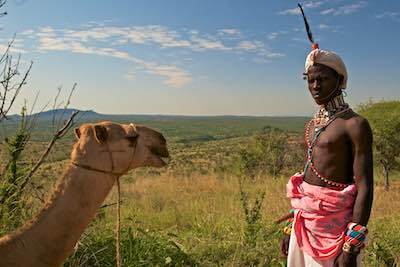 5 Laikipia activities: game driving, nature walks, cultural interactions, and even horse riding & camel treks in certain conservancies. Explore different parks or regions, focus on particular species, relax by the beach, go scuba diving, discover local culture... it's your choice. Below are some ideas. Contact us for specific recommendations just for you. Want to head to the coast, & also see some culture? Discover World Heritage listed Lamu Old Town, the oldest & best preserved Swahili settlement in East Africa. 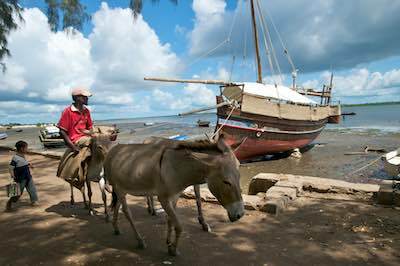 From coral stone & mangrove timber buildings to donkeys in the narrow streets, there's something interesting around every corner. Sailing on a traditional wooden dhow is a recommended experience for first timers. 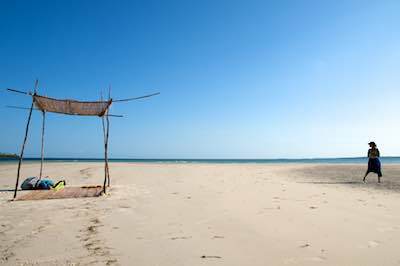 Nearby Manda Island offers tropical sandy beaches to relax & get away from it all. Incl. flights, transfers, accommodation, breakfast. From US$ 695 pp for 2 nights. Just want to relax & chill out on the beach or by the pool? 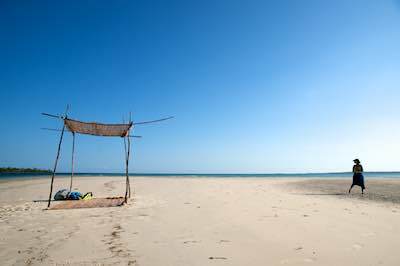 Head to Kenya's South Coast for laid-back tropical beaches - Funzi Keys, Kinondo Kwetu, Diani, Shimoni. 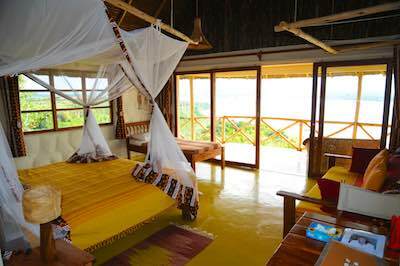 Do nothing at all - or go snorkelling or scuba diving in Diani Chale & Kisite Mpunguti Marine Reserves. From US$ 650 pp for 2 nights. 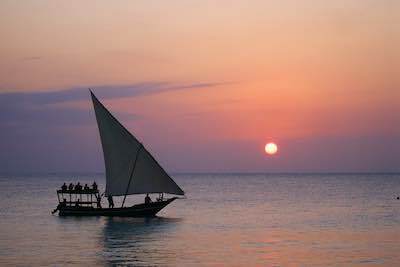 Want to visit famous Zanzibar Island, off the Tanzanian coast? From white sand beaches on the north & east coasts, to World Heritage listed Stone Town & Red Colobus monkeys in Jozani Forest. Zanzibar is a large island, taking 2 hours to drive north to south, and an hour across. So, we recommend staying in the area that interests you most. There is an ever increasing range of accommodation options on this resort island. 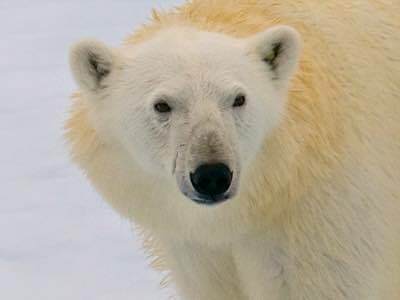 The long answer: The world's best wildlife destinations are often expensive because of strict government controls, high park fees & complex logistics. Amongst other things, it also depends on accommodation quality, location & exclusivity; what type of vehicles are used; whether you're flying around a lot; and how many days you spend in-country. Whatever your budget, we will recommend the best possible adventure to suit you. best time to go, see our "Seasons" tab. Prices based on 2 people travelling, sharing a room. 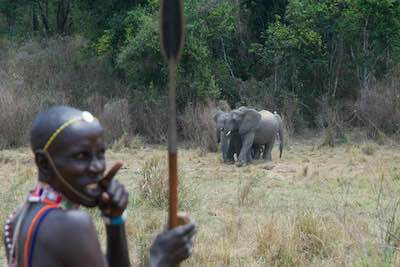 Choose your own Private Safari or a Small Group - contact us for your tailor-made adventure! No hidden costs - Guaranteed! We include everything possible to make your adventure as easy as possible. We are strongly committed to the principles of responsible travel, and therefore recommend accommodations that are trying to do the right thing - by the environment, their staff & local communities, and their guests! Environmental initiatives include using renewable energy such as solar power, using low-impact structures, reducing waste, and recycling wherever possible. They support their local communities by providing employment as well as educational, medical, and other support; some even include profit-share arrangements. 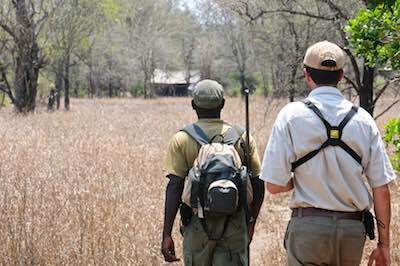 Many have, or support, anti-poaching units to de-snare and protect the wilderness areas within which they operate. Great, so what's the difference between a luxury vacation and an even more luxurious or exclusive one? which tend to be on the larger side. house drinks & extra activity inclusive basis. Usually in the best locations for wildlife viewing. High standards of Guiding, food & service. Driving safaris will be in private 4x4 vehicles. 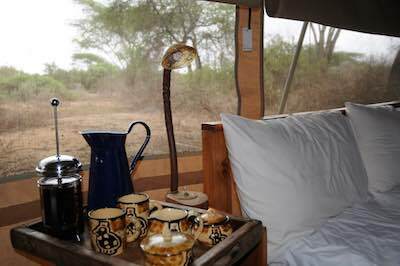 Inclusions: All your accommodation, most meals, wildlife viewing activities in quality safari vehicle with qualified Driver/Guide, all internal flights, all airport transfers, all park & conservation fees. All government taxes, fuel surcharges, Park & Conservancy entrance fees are included and correct as at date of quote. However they are subject to government & local authority imposed changes, often without notice (!) and therefore beyond our control. We will always endeavour to minimise their impact and inform you if a supplement is required. Additional things to consider: Busy times of the year normally have a supplement added by the accommodation providers - Easter, Xmas & New Year holidays. These will be included in our costs - so no surprises when you get there! Q: When is the best time to go to Kenya? A: It depends on what you want to see & experience. It may sound like a cliché to say that there is no bad time to go, however, it really is true - we know, we're there at all times of the year! There is always something happening; animals don't disappear because it's raining, although they do disperse into different areas, and they do often give birth in specific locations to take advantage of the new grazing. So if you're constrained to travelling at a particular time, don't worry: we'll recommend the best places & parks - and the best locations within the the parks - to visit at that time of year. 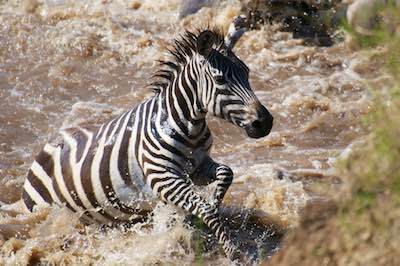 If you have specific interests - such as seeing The Great Migration in Kenya/ Tanzania or the Okavango Delta in Botswana in flood - then you do need to travel at the right time of year, AND to the right area. Short dry season with rain showers towards the end of the period. Great time for birding, with Eurasian migratory bird species present. Classified as the long rains. However, this is not monsoonal - the typical pattern is: periods of clear skies & mixed cloud, with an afternoon shower. An excellent time for photography as the air is crisp & clear. More babies, both predator & prey species. Lush, green vegetation & beautiful wildflowers. Start of the cooler, dry season. Wildlife begins to migrate closer to water sources, making for easier wildlife spotting. Wildebeest in Tanzania's Serengeti start to head north towards Kenya's Masai Mara. Dry season, starting off cool, but warming up again towards the end of the period. Animals concentrate further around water sources. Peak viewing time for the famous Great Migration in the Masai Mara. 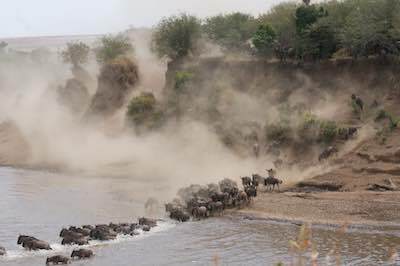 Chance to see wildebeest river crossings in the Masai Mara. Short rains, bringing relief after the dry season. 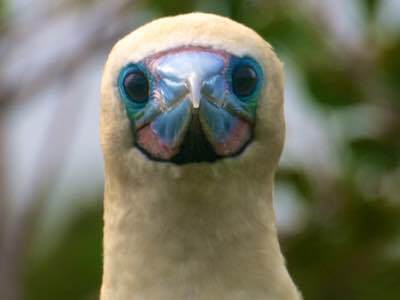 November marks the start of the Eurasian bird migration into East Africa. Whatever time of year you choose to travel, rest assured that when you choose to travel with us, we will advise you of the best safari locations, safari seasons and safari dates for your particular interests. 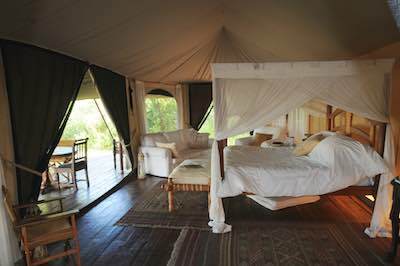 For exciting Travel Inspiration, Bush Tales & Special Offers. 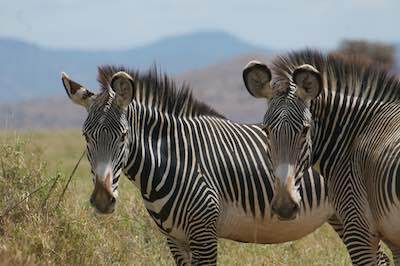 Follow our adventures on safari & the latest in Wildlife Travel & Conservation.